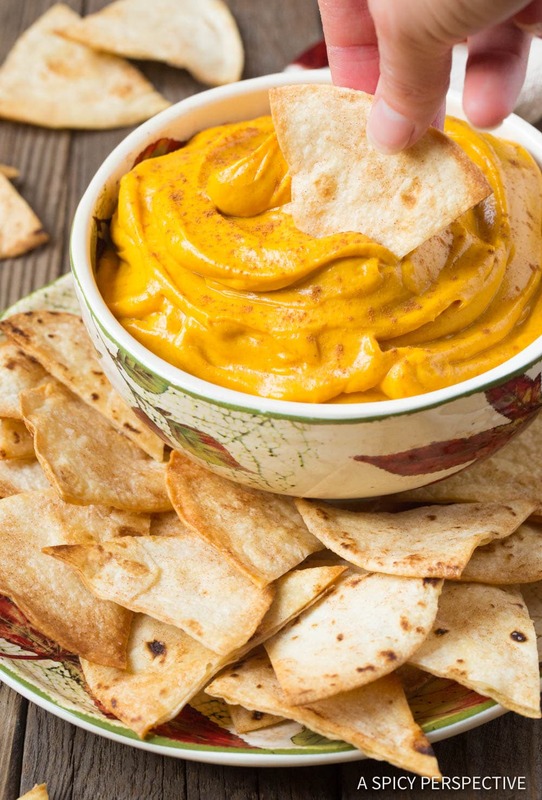 Pumpkin Pie Dip + Cinnamon Chips – Two amazing party snacks that are perfect together. 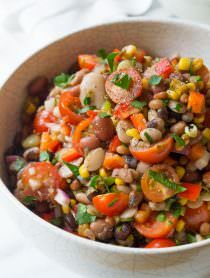 Plus, each recipe has less than 5 ingredients! Can you believe it’s already pumpkin season? 2018 has flown by so fast, I’m getting dizzy spells. As of this year, I am now the shortest person in my family. I’m also the slowest runner, and least mathematical. That’s ok. I love watching my kids grow and mature. Plus, I’ve got my whole family beat in one single area. I am the undisputed master of the kitchen. And no other season is more fun for a cook than holiday season! 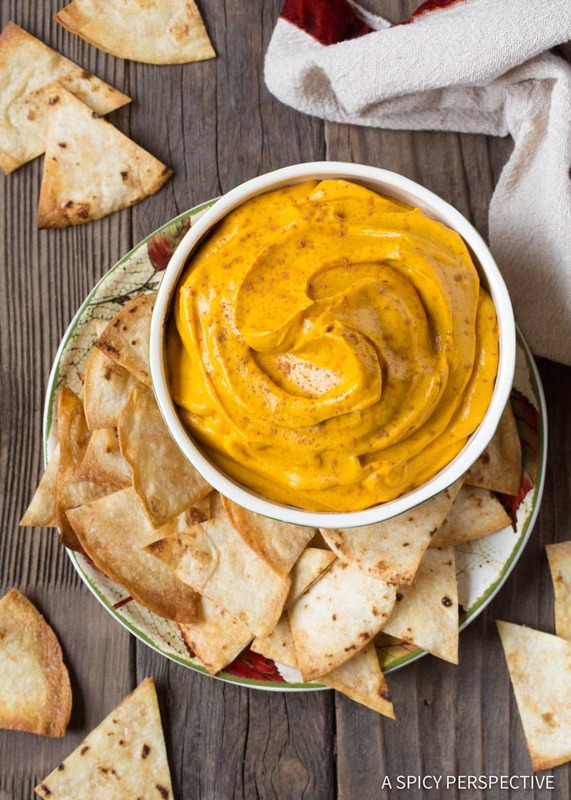 Well, today I have a quick and easy snack that is sure to get you in the mood for the Halloween-Thanksgiving-Christmas madness headed your way… Homemade Pumpkin Pie Dip + Cinnamon Chips. 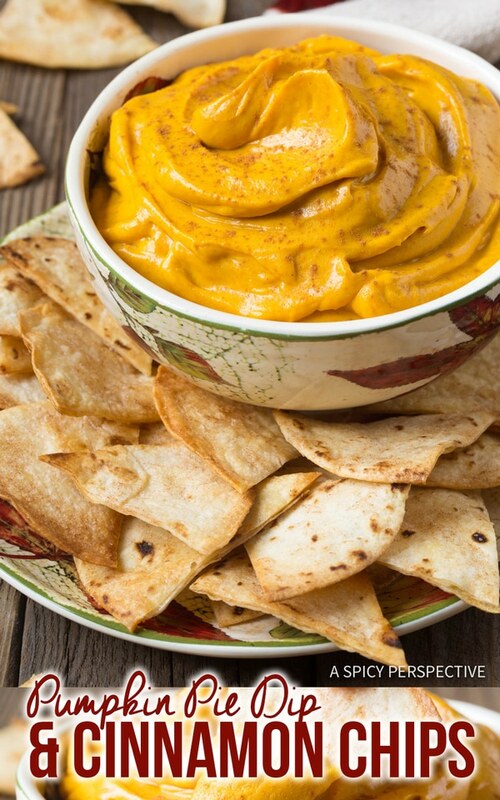 This simple 5 ingredient pumpkin pie dip, takes only moments to make and is paired with the most tantalizing carby creation, sweet cinnamon chips made out of flour tortillas. This easy pumpkin dip with cream cheese and powdered sugar needs only a sprinkle of pumpkin pie spice and a pinch of salt to achieve sheer perfection. 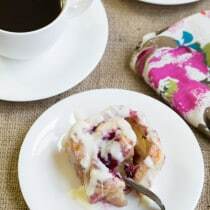 Throw everything in the blender to create this quick treat with a smooth creamy texture. 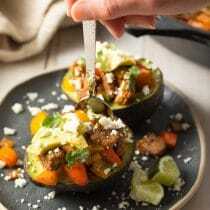 Plus, you can substitute low fat cream cheese for traditional cream cheese to produce a healthier pumpkin pie dip the whole family will love. Then bake up a speedy batch of hot crunchy cinnamon chips, made with flour tortillas, butter, sugar, and cinnamon. 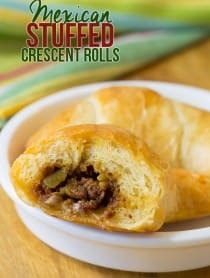 Simply cut the tortillas into wedges, and brush sweet cinnamon butter over them before baking. These homemade cinnamon chips make a marvelous snack on their own. 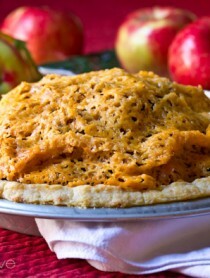 Yet with the creamy pumpkin pie dip, they are the perfect love-match! 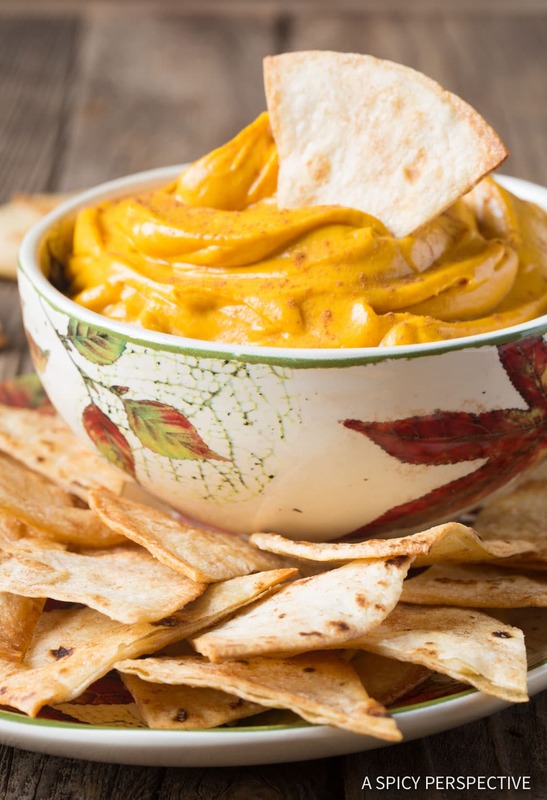 Our Pumpkin Pie Dip + Cinnamon Chips recipe is a great make-ahead for after school snacks, parties, and family movie nights. Give it a try this weekend! 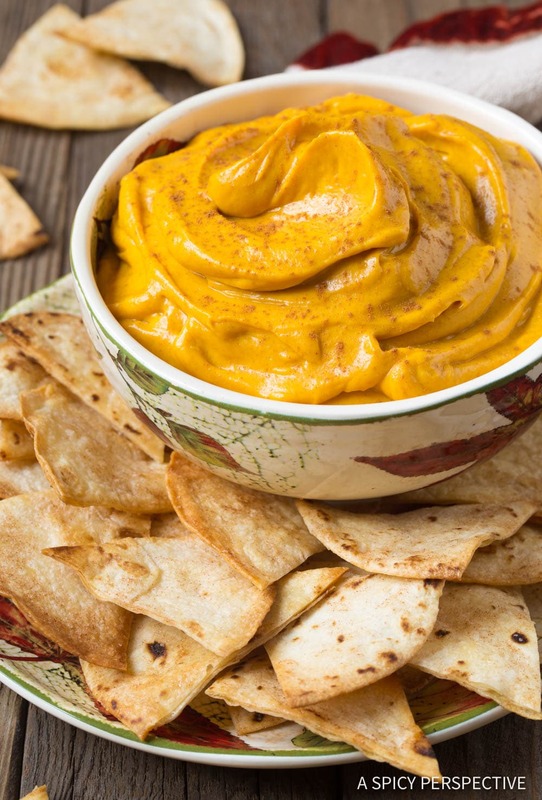 Pumpkin Pie Dip + Cinnamon Chips - Two amazing party snacks that are perfect together. 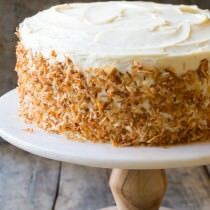 Plus, each recipe has less than 5 ingredients! Preheat the oven to 400 degrees F. Line two baking sheets with parchment paper. 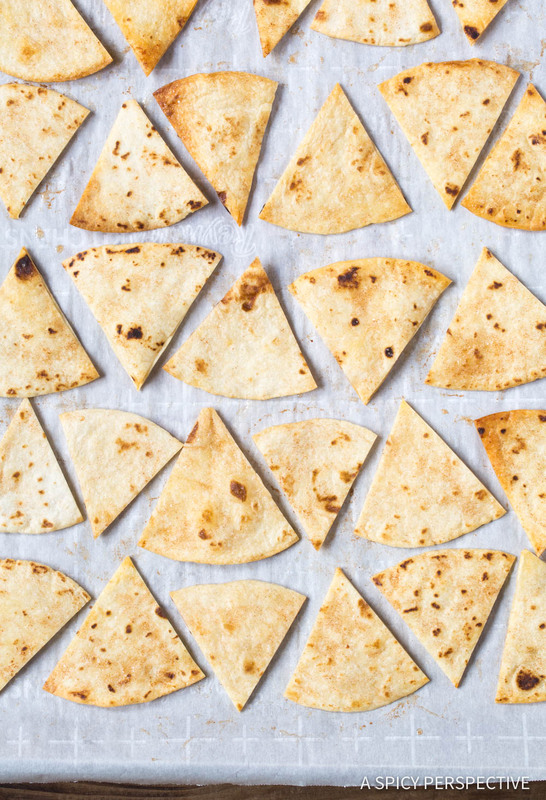 Cut the tortillas into 6 wedges each, and lay them in a single layer on the baking sheets. 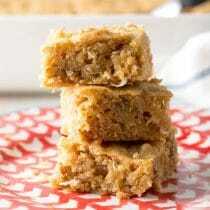 Mix the melted butter, sugar and cinnamon. Brush the mixture over the tortillas, then flip and repeat. 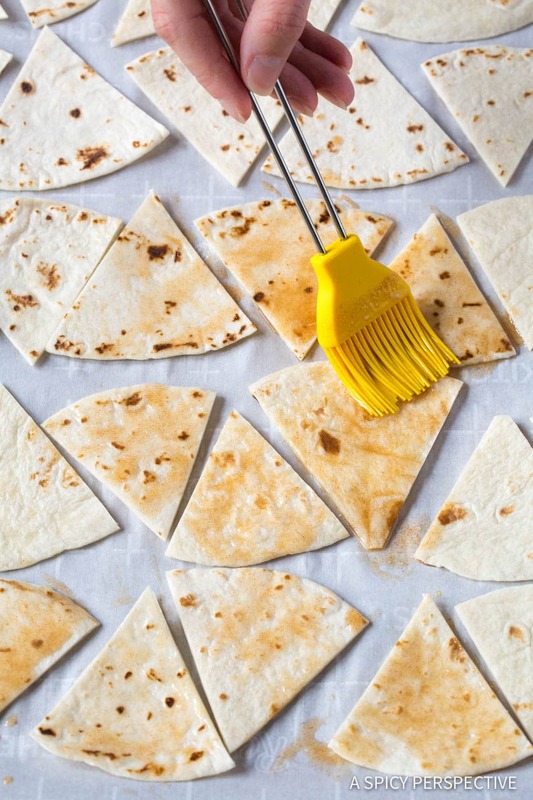 Bake the tortilla chips for 10-12 minutes, until golden around the edges. 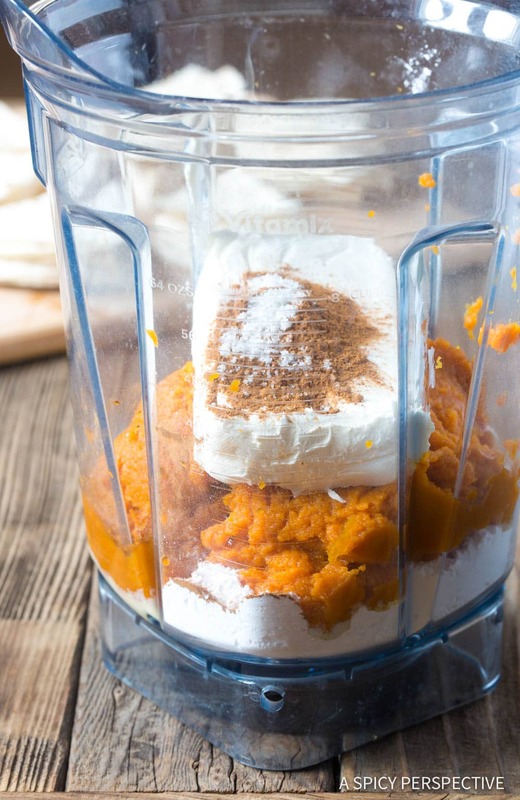 Meanwhile, place the pumpkin puree, cream cheese, powdered sugar, pumpkin pie spice, and salt in a blender jar. 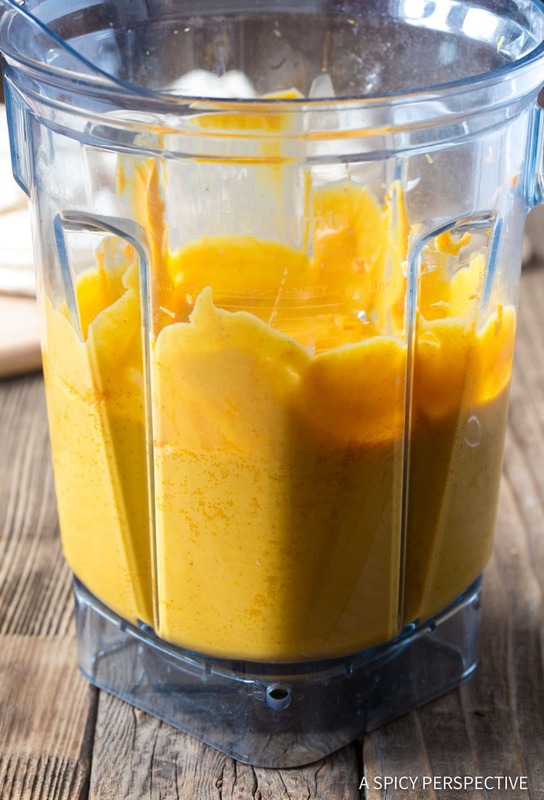 Puree until very smooth. 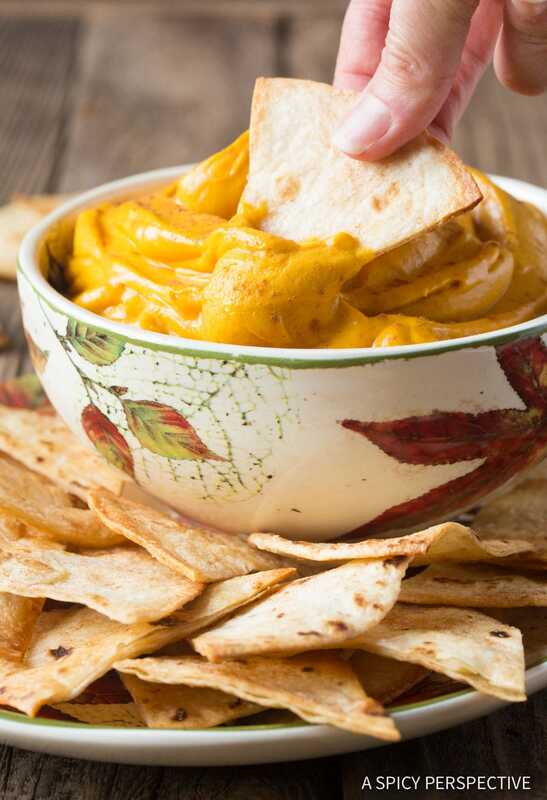 Serve immediately, or chill the Pumpkin Pie Dip until ready to serve.